A Casual Dip in the Sea! I woke up one morning on Koh Rong Island in southern Cambodia and was chilling in my hammock about 10m from the ocean and thought “what the hell is that” as a huge object slowly began to flat past. 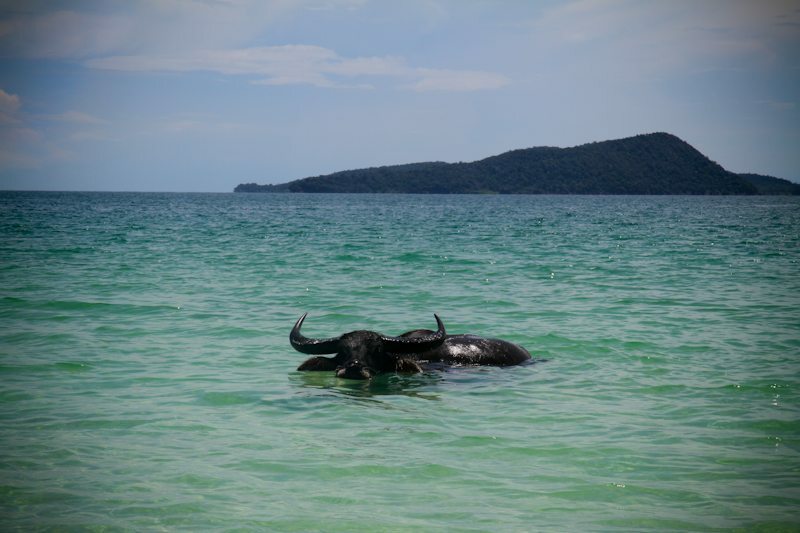 Then it turned and faced me exposing its un mistakable horns – it was a water buffalo having a casual morning swim in the sea! I’ve spent years in the ocean and this is by far one of the most random things I’ve seen!haha!